The Town Square in Dubai ... work in progress. Town Square will be home to a thriving neighbourhood of 5,000 residences, hotel and retail outlets. Nshama, a private developer of integrated lifestyle communities, has awarded Dh3 billion ($816 million) construction contracts for eight residential projects and all requisite infrastructure at its trendy Town Square in Dubai, UAE. 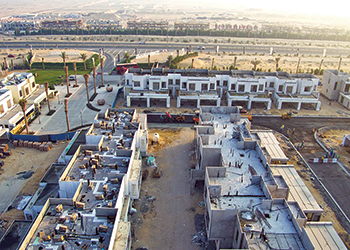 With more than 5,000 workers on site, the infrastructure and related works are progressing rapidly at Town Square, a 31-million-sq-ft development anchored by a central square, the size of 16 football fields, Vida Townsquare Dubai hotel and Reel Cinemas cineplex. As a pioneer in developing affordable homes in trendy neighbourhoods, Town Square by Nshama will define a new lifestyle choice for Dubai residents when it emerges as a thriving neighbourhood this year. Some 5,000 homes will be on offer. The project will hand over the first homes to customers shortly, marking the on-schedule progress of the townhouses and apartments that were launched to strong investor response. 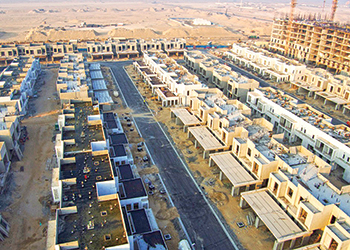 The key contractors chosen by Nshama include India’s Shapoorji Pallonji, Kier Dubai, Al Naboodah Contracting, Beaver Gulf Group and Binladin Contracting Group. Work will soon start on the Zahra Townhouses and Apartments, Zahra Breeze Apartments, Hayat Townhouses, Safi Apartments, Warda and Jenna Apartments and various infrastructure projects. About 5,000 residences, as part of different neighbourhoods, are currently being built, and about 2,000 will be handed over by the end of 2017, says a top official. The Central Square, which is the size of 16 football fields, is also coming to life. It will feature the Vida Townsquare Dubai hotel and a Reel Cinemas cineplex, in addition to a 2.5 million sq ft retail precinct featuring over 600 stores and F&B (food and beverages) outlets, among others.